Choose 50 or 100 clusters. Chive blossoms are herb farmers’ secret treasures. Seasonal and relatively perishable, these pink-purple flowers aren’t usually found in grocery stores, but are highly prized for their beautiful, delicate appearance and robust spicy-onion flavor. Chive blossoms average about ¾” by 1” (but can vary), and they are sold with some of the stalk attached (also edible & quite tasty). They are a colorful, delicious addition to savory dishes and salads as a garnish or ingredient and can be used whole, off the stalk, torn into petals or minced. 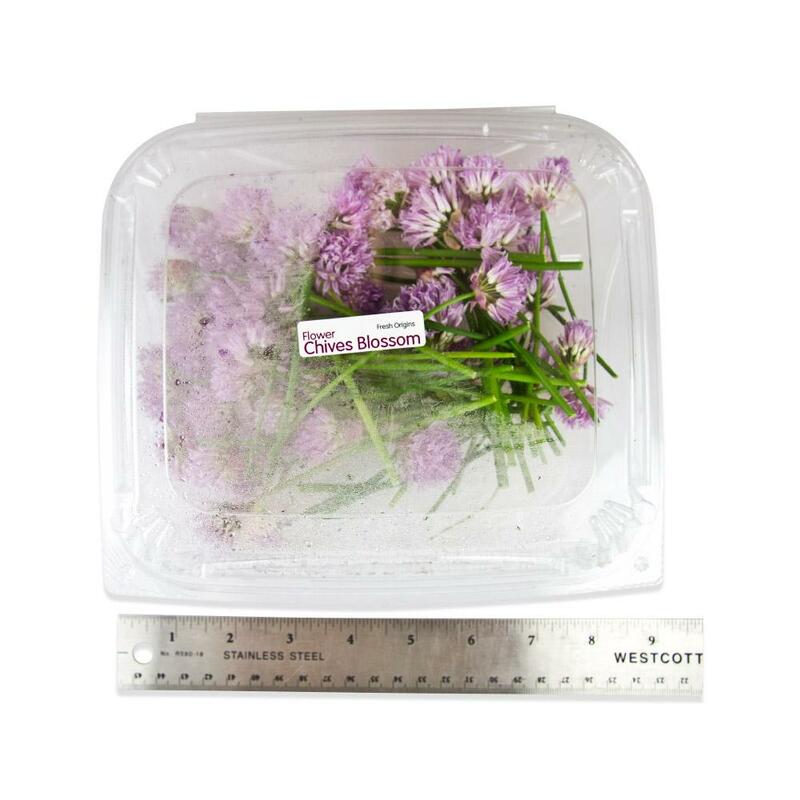 Store chive flowers in their plastic clamshells in your refrigerator. 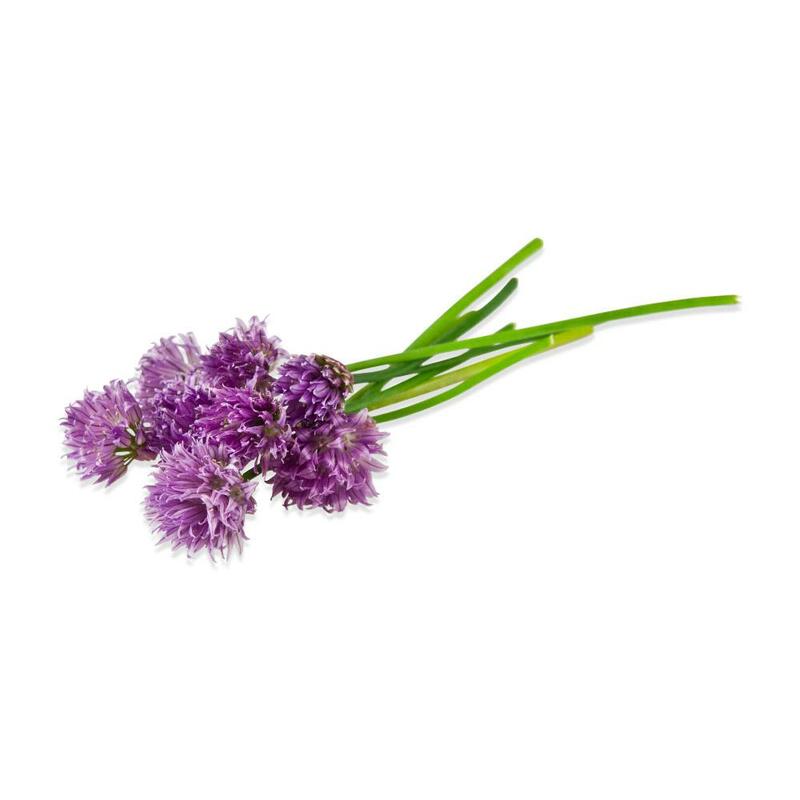 Chive blossoms can be used as a garnish or salad ingredient whole, minced, or torn into petals. 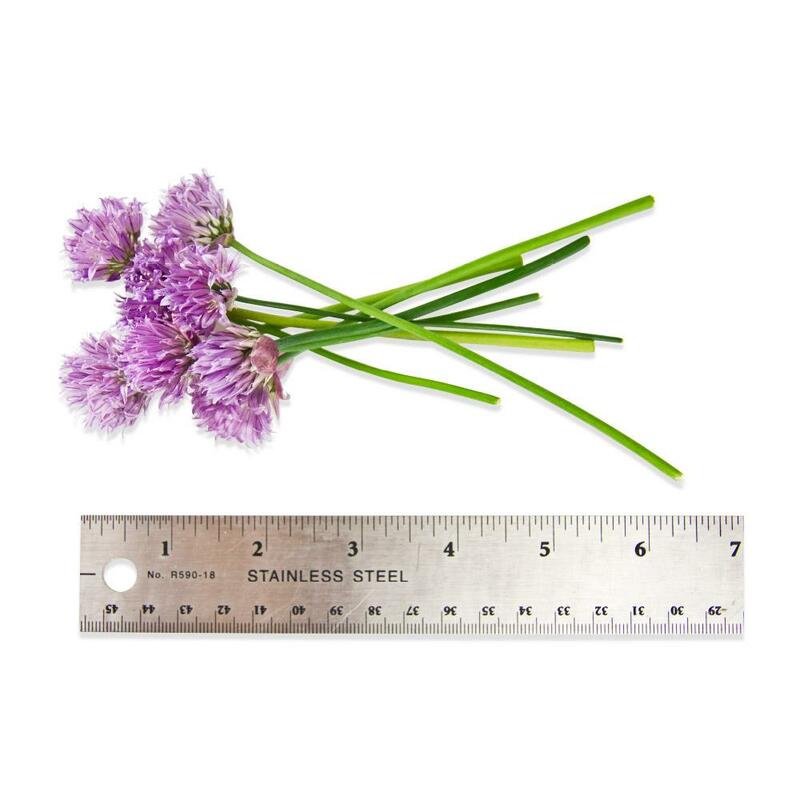 Their attached stalks can be separated and used as you would other fresh chives. Chive blossoms are delicious minced & mixed into scrambled eggs. They can also be mixed into softened butter to produce colorful & tasty chive compound butter, which is a great addition to baked potatoes and steaks.